As criminal defence lawyers, it it our priority to provide our clients specialised and personalised representation before the courts. 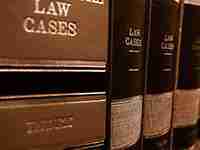 There are various criminal defences that may be used to fight criminal charges. Depending on the circumstances surrounding an alleged offending, a lawyer can evaluate your case and identify just the right defences that can be used in order to achieve the best outcome in court. The defence of automatism may be raised if the accused committed the offence without volition, in a state of “automatism”. This implies that the will of the accused had total absence of control and direction in the commission of the offending. Automatism has 2 forms: “insane automatism” and “sane automatism”. The former occurs due to a “disease of the mind” (mental impairment) while the latter is caused by something else other than a “disease of the mind”. The accused may raise the defence of charges being statute barred if the accused was charged already after a certain time limit. Depending on the statute or law for a specific offence, it’s possible that charging an accused for a certain offence may no more be allowed if a certain period has already passed. 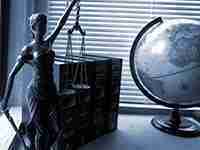 This is especially important in order to protect an accused against faulty or unreliable evidence (ex. lost evidence, faded memories, etc.). For many summary offences, the time limit is usually 1 year. These limits often vary depending on how serious a particular offence is. Claim of right is a defence governed by section 9.5 of the Criminal Code Act 1995. It may be raised with regards to property offences where the accused believed that they had a legal right to the property. The accused must have had an honest belief that they were legally entitled, and therefore were only exercising their proprietary or possessory right (although this belief was mistaken). It is crucial for the belief to have been honestly held regardless of whether it was reasonable or not. Note that the right in question must be a legal right and not just a moral right. Consent is a defence that may be used to fight charges related to sexual offences. For an accused to be found guilty, the prosecution must prove that the alleged act was non-consensual (without consent), and that the accused was aware of it being non-consensual. Note that it doesn’t mean consent was given simply because the complainant did not protest or physically resist, did not sustain physical injury, or has consented on an earlier occasion. The circumstances surrounding the issue of consent can be found on section 36 of the Crimes Act 1958. If the accused committed an offence because they were threatened that harm was to be inflicted on them or to another person unless they commit the offence, then the accused may be defended on the basis of duress. 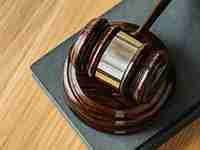 It is crucial for the accused to have reasonably believed that the threat will be carried out. It must be noted though that if the threat was made by, or on behalf of a person, with whom the accused is voluntarily associating for the purpose of carrying out violent conduct, then the committed offence could not have been made under duress. This is a criminal defence that can only be used in cases that involve strict liability. This means that during the incident, something had happened but the prosecution does not have to prove whether the accused intended for that thing to happen. The accused must have had a mistaken – but reasonable – belief about certain facts and that had these facts existed, the conduct of the accused would not have been illegal. Note however that this defence does not apply if the accused was mistaken about what the law says. 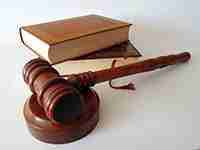 Section 9.1-9.4 of the Criminal Code Act 1995 discusses the law related to this defence. The defence of impossibility may be raised where it is impossible for an accused to have committed the alleged offence. Depending on the circumstances, the accused may have an alibi as to why it would be illogical to accuse them of a particular offending (ex. being on a different place at the time the crime occurred). Details must be given in advance to the prosecution so they could perform their own investigation and verify details. Impossibility is often raised where the prosecution is unable to prove any element of a particular offence. If the accused was under the influence of alcohol, drug, or any other substance at the time when the alleged offending was committed, this alone does not provide a defence. However the fact that the accused was intoxicated means that the mental element of the crime may be questioned and this can have a bearing on how the offending is assessed. It should be noted that intoxication may also be used as evidence to prove other defences that are relevant to a given case. A guilty mind is a typical element of a criminal offence. This means that in order for the accused to be found guilty, they must have had the intent to commit the crime and was intending to achieve the purpose of the commission of such crime. If the accused committed the offending involuntarily or out of a mistaken belief, then there was lack of intent and it can be raised as a defence. Note however that if the absence of awareness of the accused is due to their actions being reckless, then fault may be attributed to this very issue and the accused may still be charged. Mental impairment as a criminal defence was created by section 20 of the Crimes (Mental Impairment and Unfitness to be Tried) Act 1997. If the accused was suffering from a mental impairment at the time the offending was committed, such that the accused did not know the nature and quality of their actions, or that they did not know that their actions were wrong, then the defence of mental impairment may apply. Whoever brings up the issue of mental impairment must prove that the accused is suffering from a form of mental disease. The defence of necessity may be made out where the accused had to commit the offence in order to avoid severe consequences that would otherwise cause immediate irreparable harm. For this defence to be valid, the act committed by the accused must be proportional to the harm that would have been caused had the accused not committed the act. It is up to the defence to prove that the act was made out of necessity. The prosecution will then have to disprove submissions by the defence beyond reasonable doubt otherwise the accused cannot be found guilty. In Victoria, provocation may be used as a partial defence in murder cases if the offending occurred prior to 23 November 2005. If the accused committed the offence while provoked, then the defence of provocation may get them convicted of manslaughter instead of murder. A conduct is deemed provocative if it has the capability of making the accused lose control, getting them into a sudden and temporary “heat of passion” and thereby making it possible for them to form and act upon an intention to kill or to seriously injure the victim. An accused may be defended against a criminal charge on the basis of self defence if the accused believes that the act was needed in self defence, and if such an act was a reasonable response given the circumstances at the time the offending took place. It is irrelevant if this belief of the accused was right or wrong. What matters is that it must have been based on reasonable grounds and it shouldn’t have been made in response to a lawful conduct – unless the accused had no knowledge that the other person was acting lawfully. This defence may be used where the accused committed the alleged offending in response to a sudden or extraordinary emergency. For this defence to stand, there must have been circumstances of sudden or extraordinary emergency during the incident. The conduct of the accused then must have been the only way to deal with the emergency, regardless of whether it was illegal. And finally, the conduct must be considered a reasonable response to the emergency. It must be noted that in murder cases, this defence can only be valid if the emergency involves a risk of death or a really serious injury. Suicide pact is another partial defence that may be used in court to defend against a charge of murder. If this defence is established, the accused will be convicted of manslaughter instead of murder and may be sentenced to a maximum of 10 years imprisonment. Suicide pact is an agreement between parties that seeks for the death of all parties involved, regardless of whether each party is to take their own life. If the accused was party to the homicide arising from a suicide pact, but was not party to the suicide pact, then this defence cannot be used. Have you been charged with a criminal offence? Contact Furstenberg Law and find out which of these defences can be used to fight the charges against you. Call us.